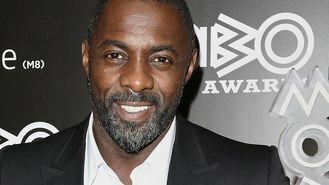 The British actor, who also starred in US cop drama The Wire and UK crime series Luther, has teamed up with South African musicians to make mi Mandela - an album inspired by the anti-apartheid pioneer who died last year. Idris said the idea came out of his research for the role when he started listening to traditional South African music, adding: " South Africa has numerous different tribes and each one has a musical expression, and each one has a very unique, different sound style. "At the time I had my studio at the apartment I was staying in while I was making Mandela - a little keyboard, a laptop - and as an experiment to myself, I vowed to keep making music." Another inspiration came from his father Winston, who encouraged him in the idea but died before recording was complete. The 11-track album and the first single, You Give Me Love, which features Maverick Sabre, come out in November.